Castleton is a great base from which to explore the numerous Mountain Biking trails and Road cycling routes on offer, we sit at the foot of one of Britain’s toughest climbs, Winnats Pass! You can rest assured you won’t be short of a whole variety of routes for all abilities when cycling around Castleton. Just a short drive away are some of the most well known Derbyshire edges for climbing from less challenging routes through to some advanced climbs, suitable for experts and enthusiasts alike. Stanage Edge and the surrounding area boast some beautiful scenery over the whole of the Hope Valley. One of Castleton’s strengths is the abundance of locations on the doorstep for pot-holing. If you’re an experienced pot-holer coming to Castleton then we are a perfect base for you to explore the veins under Castleton. But if you’ve never done it before and you fancy having a go we have a fantastic company we can recommend to take you out. We are pretty sure that you’ll know already but Castleton and the Hope Valley offer so many amazing walking experiences with breathtaking views in every direction. There’s walks for families to explore the amazing history through to challenging routes for the most experienced hikers. All right from the doorstep! There’s so much to do around Castleton if you want an active break away from it all, but if you don’t there’s plenty to do and see for those who just want to relax and explore the area. Laburnum Cottage and The Old Workshop are self-catering holiday cottages situated in the centre of the village of Castleton, Hope Valley, in the heart of the Peak District National Park. 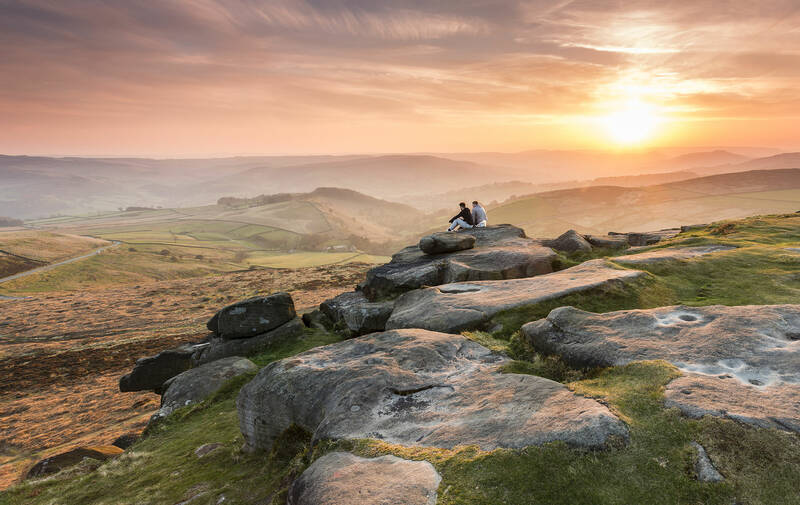 The Hope Vallley is justifiably one of the most popular tourist locations in the Peak District National Park.